To beat the heat, some of us prefer to lounge outdoors while enjoying ice-cold drinks. 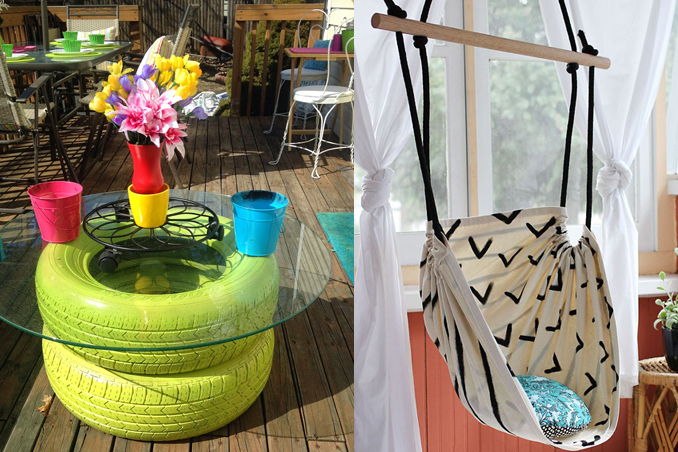 No need to worry if you don't have outdoor furniture as you can easily turn old pieces into perfect summer must-haves. Let these eight creative ideas inspire you to create a vibrant and relaxing outdoor area. Source: BuzzFeed. Main photos from madcapfrenzy.blogspot.com and abeautifulmess.com.